Team USA roster for the 2012 London Olympics has not been released yet, but we’ve seen Dwyane Wade’s Olympic-themed signature shoe. This time, Carmelo Anthony takes center stage with upcoming new edition of the shoe, which is said to be the Team USA colorway of the Jordan Melo M8. Billed as White/Pitch Blue-Varsity Red colorway of the shoe, this edition features a white-dominated body with black and red stitches, which are all team colors of USA Basketball. Expect this one to drop anytime soon so watch out for it! Jordan Melo M8 Coming Out in “Blue Suede” Colorway? Jordan Melo M8 Now Available! 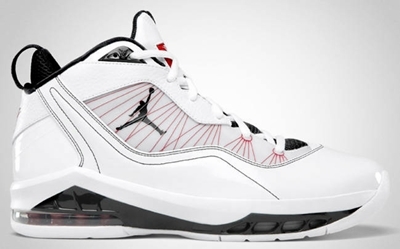 Another Jordan Melo M8 to Hit the Market!